Old San Juan Makes The Blue Collar Foodie Say ¡Wepa! 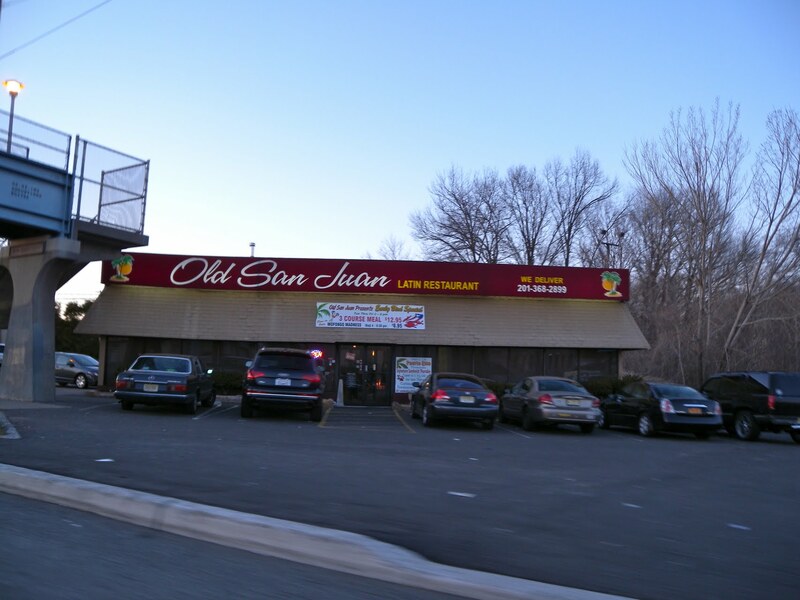 One of the phenomenal luxuries of living in Bergen County New Jersey is the never ending list of culinary quests that one can embark on, within mere minutes of their residence. There are very few cuisines that a simple Google search cannot turn up five or more restaurants within a reasonable proximity. So, when I do have the opportunity to visit a restaurant that is sharing a scarce delicacy that I normally have to venture into New York City for, I get rather excited, especially when I score a Groupon for said indulgence. 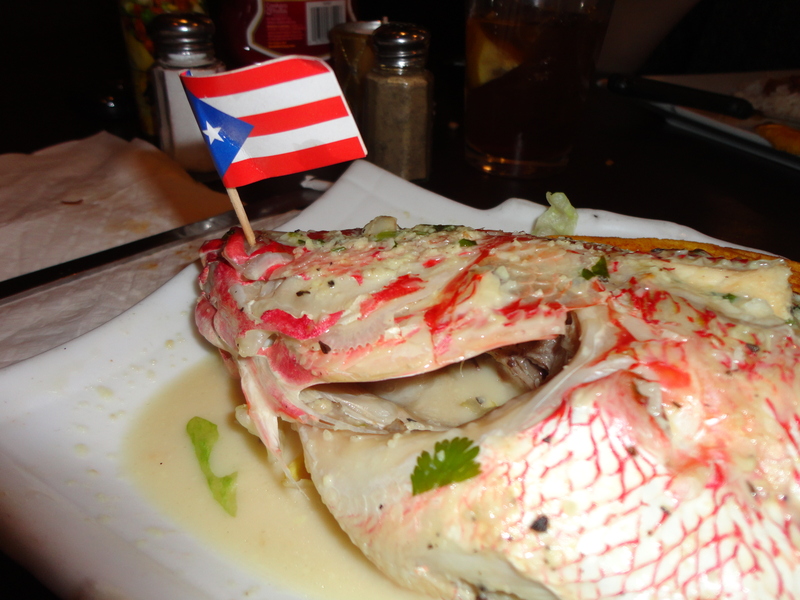 The style of gastronomy that I am referring to is none other than Puerto Rican food, and the establishment that is delivering this tantalizing fare to the Bergen County area is Old San Juan, located at 165 Route 46 West in Saddle Brook, NJ. From the outside, this restaurant seems quite unassuming, mainly due to ear defiling noise and the unpleasant eye contamination that occurs when your next door neighbor is a bustling freeway. Thankfully, once you enter Old San Juan you are whisked away from this suburban netherworld and brought to a veritable wonderland of peace and tranquility, complete with the heavenly aroma that only accompanies the wonderful cuisine of the islands. When Kat and I entered the restaurant we were instantly greeted by a smiling face and escorted to our table promptly, which is always appreciated. Furthermore, the modern, fresh, and clean interior design seemed to comfort Kat and I, almost immediately. Once we were seated we were given menus from our waitress and she took our drink order as well. Old San Juan, like most non-chain restaurants in New Jersey does not have a liquor license but they do allow you to bring your own bottles of wine or beer. In addition Old San Juan offers an added bonus of B.Y.O.B Sangria, which allows you to supply the wine which they will serve with their own blends of fruits, creating an island inspired cocktail that pairs perfectly with Puerto Rican Food. Kat and I perused the menu and after some serious deliberation we made our selections and signaled the waitress to join us once again. If you have ever used a Groupon before you are well aware that there are specific guidelines to follow for each and every Groupon that you purchase and in order to take advantage of the substantial discounts, these rules must be followed. I always present my Groupon to the server before I begin the ordering process. The reason I do this, is because some of the regulations can be somewhat convoluted and the wait staff will be able to guide you down the path that allows you to use your Groupon at the end of the night. There is nothing worse than attempting to pay for a bill with a Groupon and finding out there is an issue with using the deal, because of something you ordered. 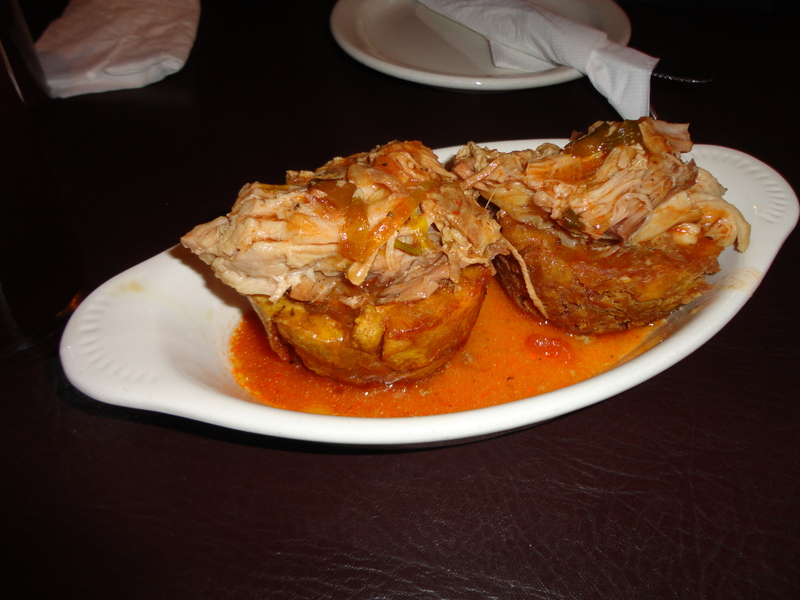 Our Groupon stipulated that we could order 1 appetizer and 2 entrees, so we chose the Tostones Rellenos de Pernil , Stuffed Plantain with Pork, for $10.95. 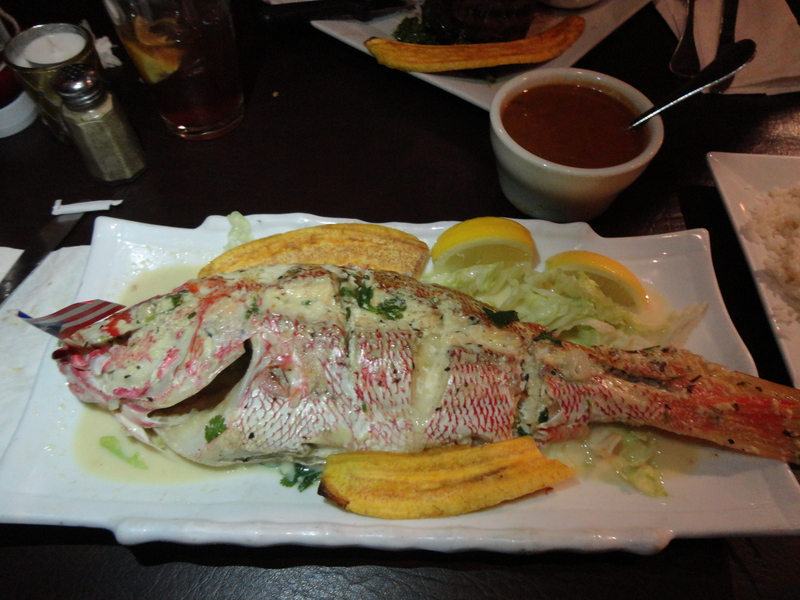 Kat then ordered Churrasco, Skirt Steak, for the reasonable price of $21.95, while I decided upon the Pargo Rojo Entero, Whole Red Snapper, in a garlic sauce, for a sensible $23.95. Each of our meals came with a choice of rice and beans, plantains, or a salad as a side dish, but considering that going to a Puerto Rican restaurant and opting to not try the rice and beans is tantamount to giving a purple nurple to a UFC fighter, we wisely chose the rice and beans to accompany our meal. When our appetizer arrived, I knew we were in for a treat. Not only was the presentation of this traditional Puerto Rican dish exquisite, it smelled so damn good I almost divorced Kat on the spot so I could marry the chef, regardless of his or her sexual orientation. 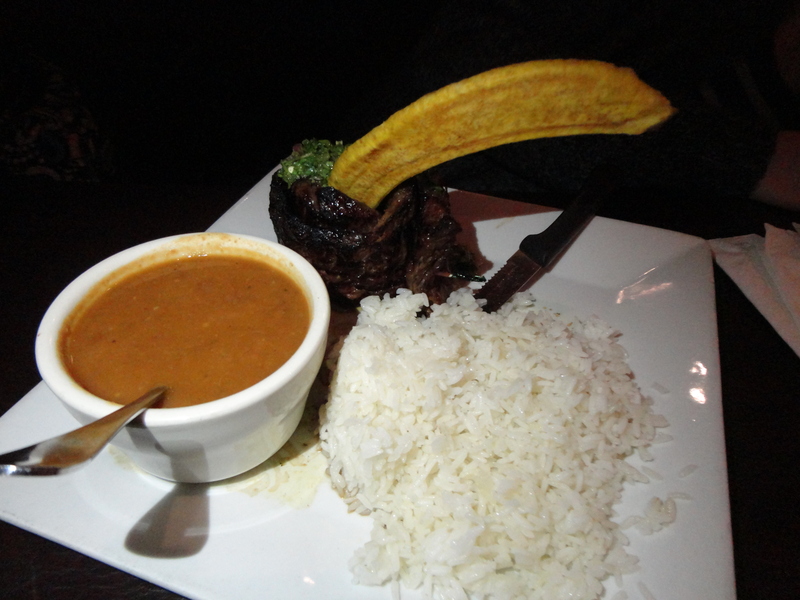 Kat and I each took a forkful of the mountain of roast pork that was erupting out of the crispy fried plantain, which soon joined the pork on our fork, and took our first bite in unison. The noises that we made after that first bite are usually heard in sleazy hotel rooms located on highways, not restaurants, but we did not care, because it was that good. The textures married perfectly with each bite while the flavors hopped, skipped, and jumped across our taste buds. When our waitress delivered our appetizer she pointed out that our table was equipped with homemade hot sauce that she warned was very hot. Kat and I might as well be the co-presidents of the Hot Sauce Fan Club, so we did not heed the waitresses warning at first and added a little bit too much hot sauce to one forkful of yummy which started a five alarm fire on our tongues that was not easily quenched. After our battle, we experimented with different amounts of this forceful yet flavorful sauce and found just the right quantity to use, which added tremendous taste without scorching the earth. Shortly after we finished our appetizer our main courses arrived. As our dishes were delivered, we noticed that once again the presentation was lovely and the portions were generous to say the least. Kat’s skirt steak was at least 12 ounces and my Red Snapper probably weighed in at 2 pounds. Kat and I began to eat our entrees and all semblance of conversation ceased for at least 5 minutes. We were mesmerized by the food that was brought to our table. My fork tender, juicy, Snapper was swimming in a butter garlic sauce that heightened the snapper’s natural flavor tenfold. Kat’s expertly prepared, tender steak was served with a Chimichurri sauce that was delicate yet delicious, not overpowering like so many others I have tasted. As for the rice and beans, it would not be a complete Puerto Rican meal without them; they were the perfect side dish to an amazing meal. If you are like me and you are looking to explore the world one plateful at a time, I highly recommend Old San Juan. Everything we tried was terrific and prepared exactly how we asked for it. In addition, even without the Groupon, the prices are reasonable and the service was fantastic. In the lovely words of the land that inspired this beautiful meal, ¡Wepa! I have visited the Old San Juan. Inside it was very nice and the food was good, being Puerto Rican I enjoyed having food from my native land. I enjoyed your comments and your humor! Buen Provecho! Thanks for the comment and I am glad you liked the blog! The mark of a good restaurant is when people that grew up on the food sing its praises.